The university of kelaniya was established in 1878 by the Vidyalankara Pirivena. 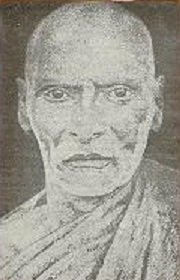 Also in 1875 vidyalankara pirivena was started by sri dharmaloka thero in rathmalana. Now the Kelaniya University has taken over the leadership of the Buddhist education. 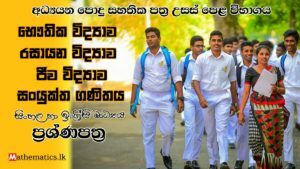 What Are The Faculties In University Of Kelaniya? microbiology, chemistry, zoology and environmental management, botany, mathematics, physics, statistics and computer science undergraduate programs are offered by faculty of science in university of kelaniya. The MBBS and BSc (speech & hearing science) ​undergraduate programs are offered by ​Faculty Of Medicine​. And Occupational therapy & Physiotherapy external degree programs also offered by this faculty. P.O Box 06, Faculty of medicine, University of kelaniya, Thalagolla road, Ragama, Sri Lanka. Bachelor of commerce (Business Technology/ Entrepreneurship/ Financial management) and Bachelor of Business Management (Accountancy/ Finance/ Human resource management/ Marketing) undergraduate programs are studying by this faculty. And Bachelor of Business Management & Bachelor of Commerce external degrees also offered by this faculty. BSc (Computer science), Bachelor of engineering technology (BET) and Bachelor of information communication technology degrees are offered by this faculty. English language, Arts, Hindi studies, Linguistics, Pali & buddhist studies, Sanskrit, Sinhala and Christian culture studies departments are has in this faculty. Economics, Archaeology, Geography, History, Philosophy, Political science, Sociology, Social statics and other several departments are has in this faculty. Several master degree programs and postgraduate diploma programs are offered by this faculty. Faculty of graduate studies, University of kelaniya, kelaniya, Sri lanka. What Are The External Degree Programs In University Of Kelaniya? Open and distance continuing education center (External degree program center) in university of kelaniya. There is good value for this external degrees from the University of Kelaniya. So every year, large number of students are applying for these external degree programs. 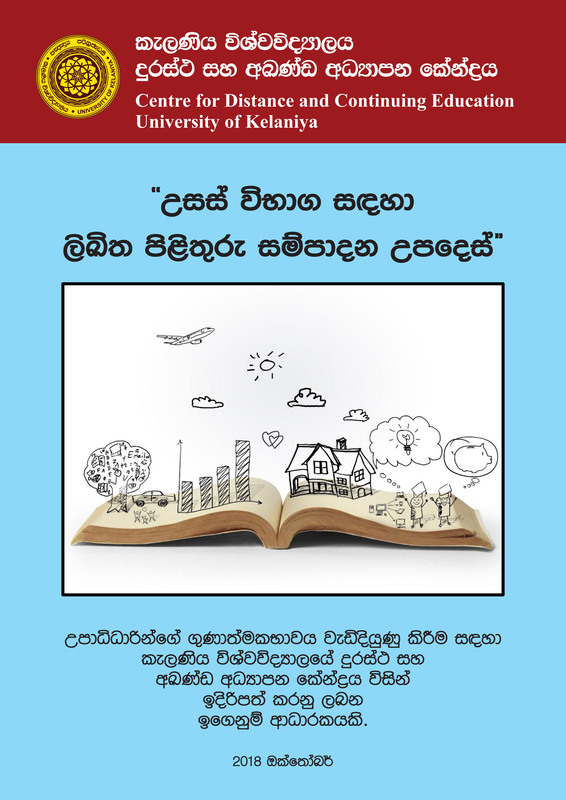 Details of the external degrees of the university of kelaniya have been released by the open and distance educational center. Please download Instruction book for writing essay type answers and higher education. 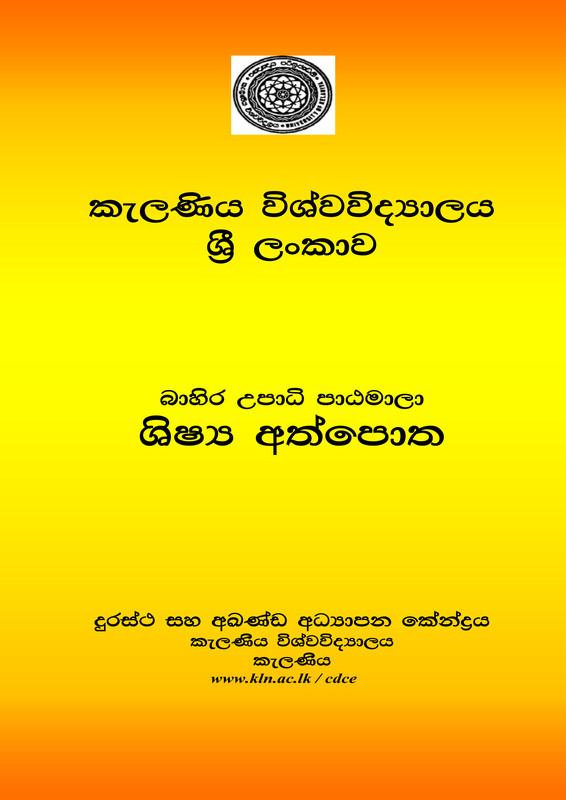 Also you can download student handbooks for external degree programs by university of kelaniya. please click here to download. More post about external degree programs please read abou post.